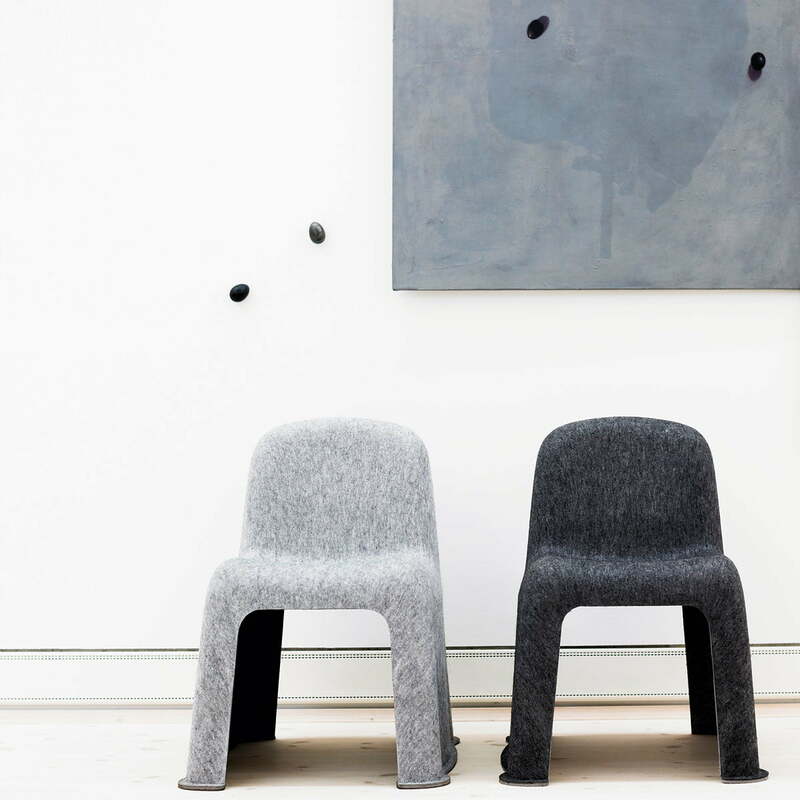 The designer of the Danish duo Komplot were the first ones who created an industrial-produced chair, which is only made of textile canvas. 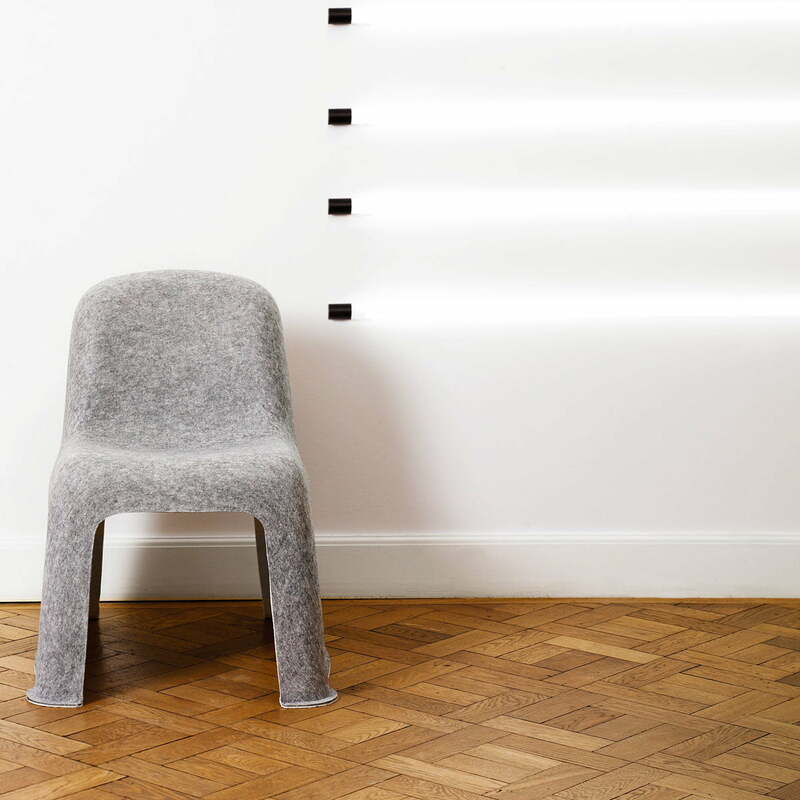 Nobody is formed out of one piece and was produced in only one phase, which solution is a plain, light and stackable modern chair, which copes up with the demands of our time in the materials and production ways. 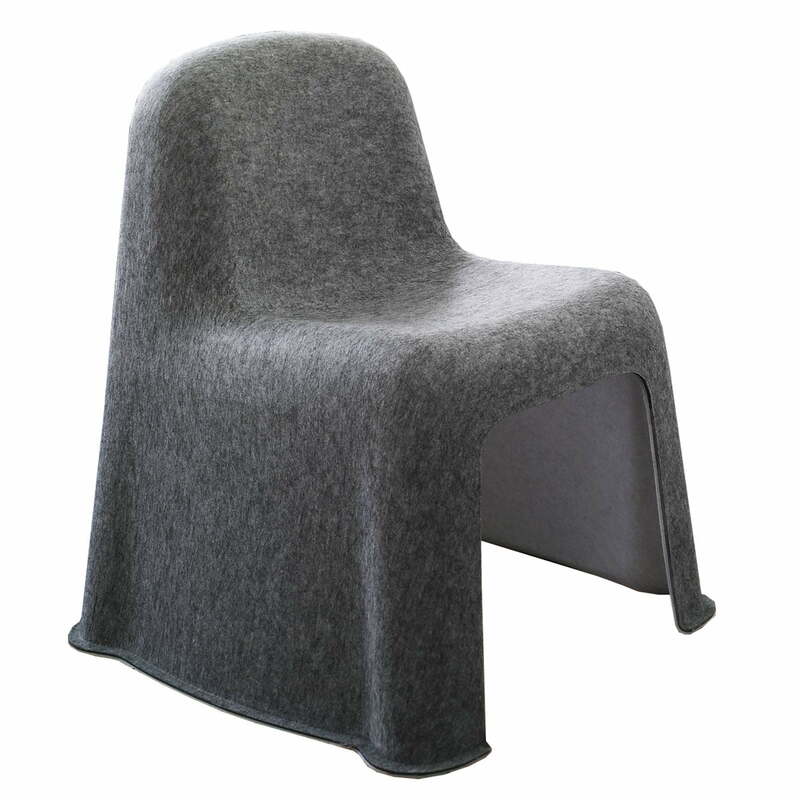 The innovative chair won many famous Design Prizes (like the Design Plus Award 2009, Forum AID Award 2008). 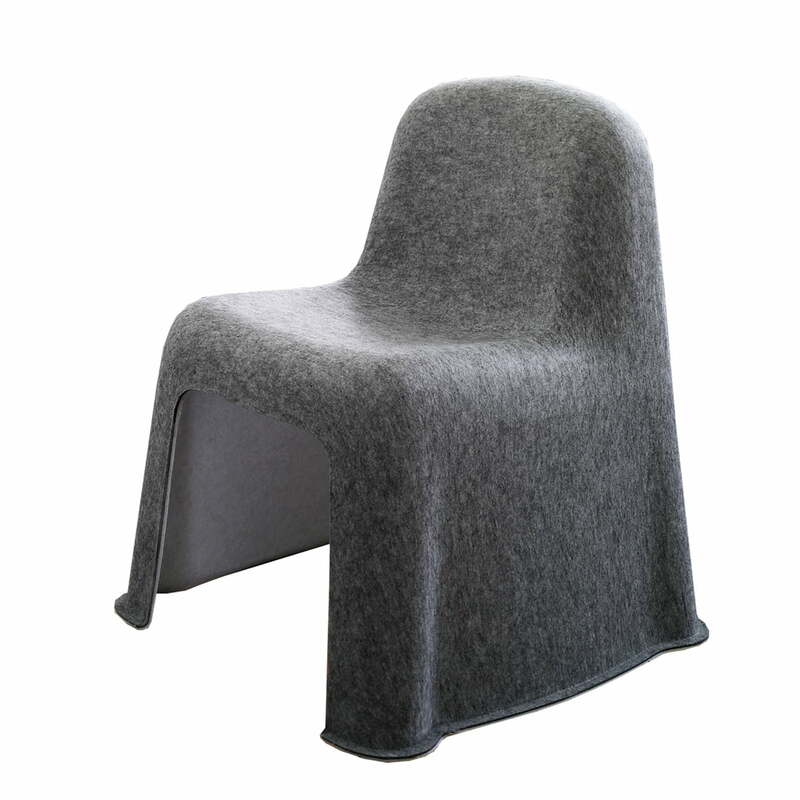 Its shape reminds of a piece of fabric, which is put on a chair, to protoct it. 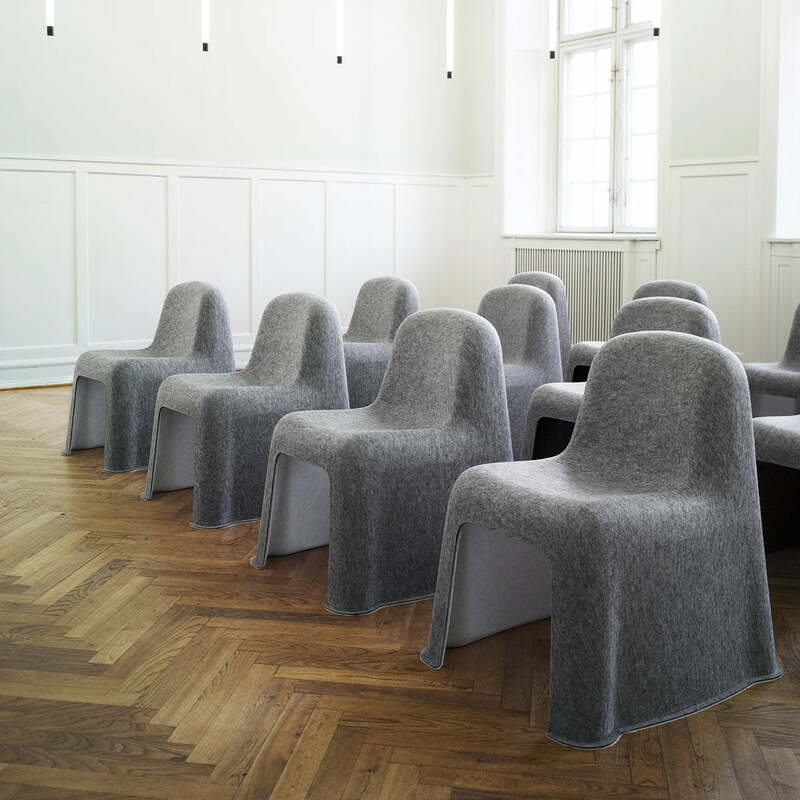 Will the chair be taken away from it, will the shape still be like it was before, and the fabric itself is the construction. That's why it is called Nobody – no body. Also the name bears on the chair which is hidden under the chair and not used. 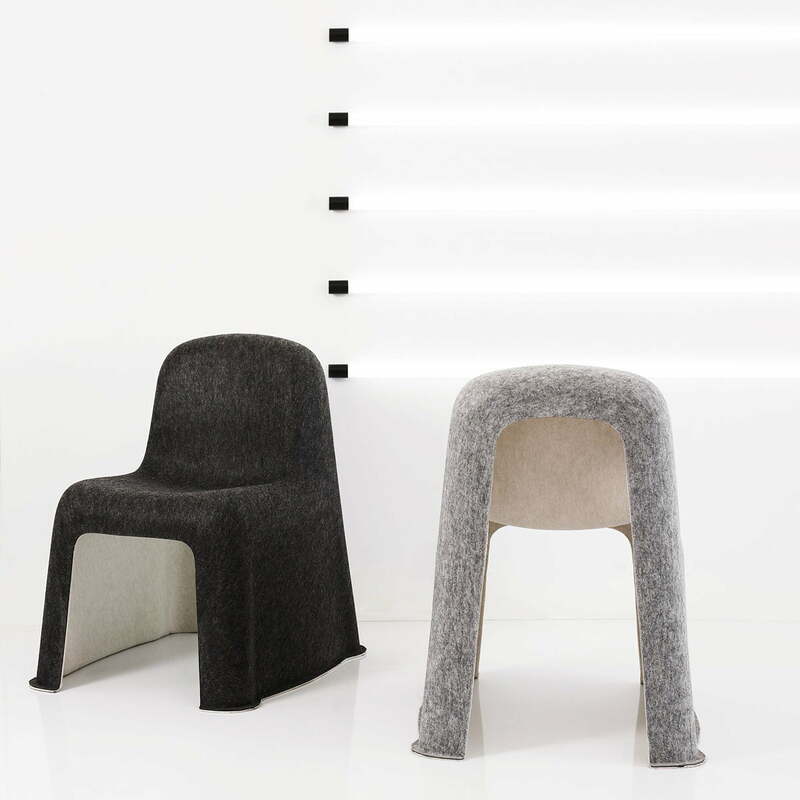 With Nobody the designers Boris Berlin and Poul Christiansen turn the idea of the modernism inside out. 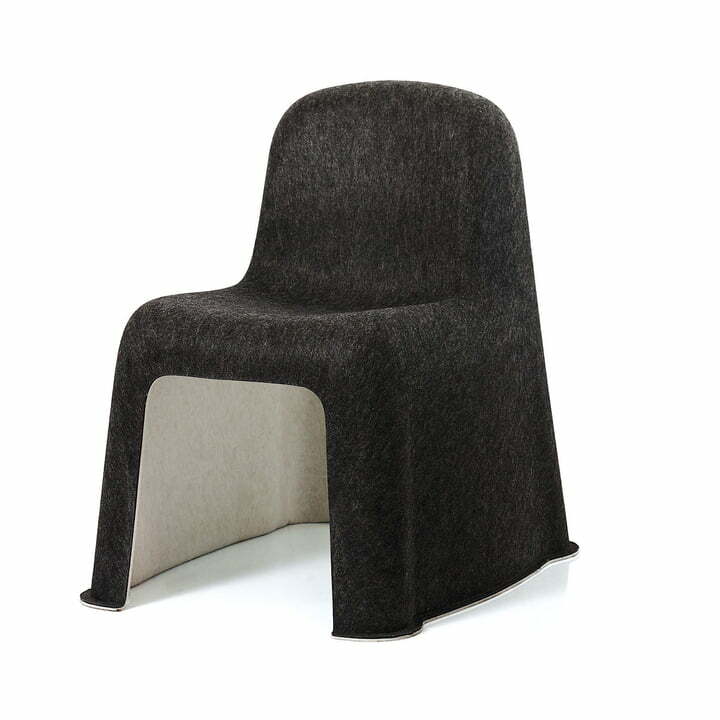 Cushions have never been assessed, because they hide the basic structure of a furniture piece. 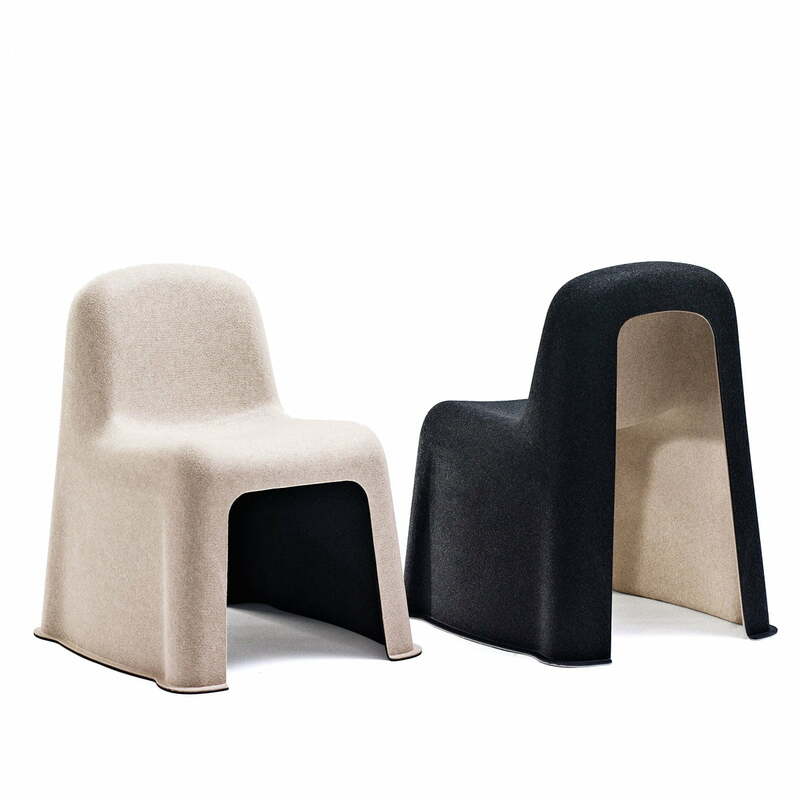 While they kept the basic thought of the modernism with the demand for simplicity, easyness and the possibilities of the mass-production, the complot-duo removed the base in favour of cushioning, which becomes to the basic element. 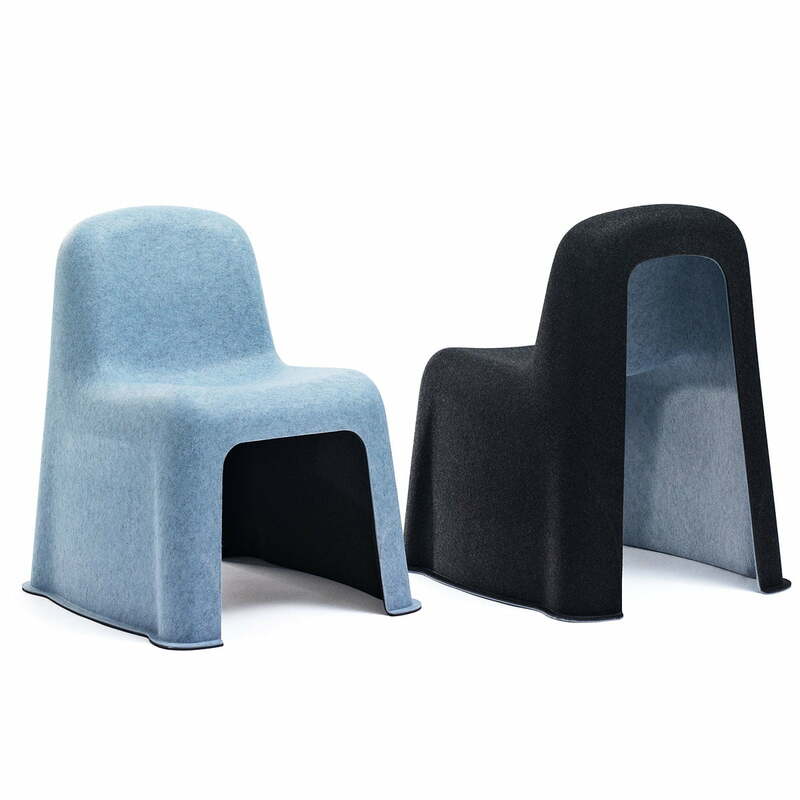 The chair is only made of form-pressed PET-Felt, a material which can be recycled to 100%, and which is made of recyclable plastic bottles. It is made out of one cast - neither a supporting frame, nor screws, plastic, glue, joints, or other connecting elements. The same technique is used in the mobile industry, to produce storing places and shorings for trunks. Nobody is also available in other colours.